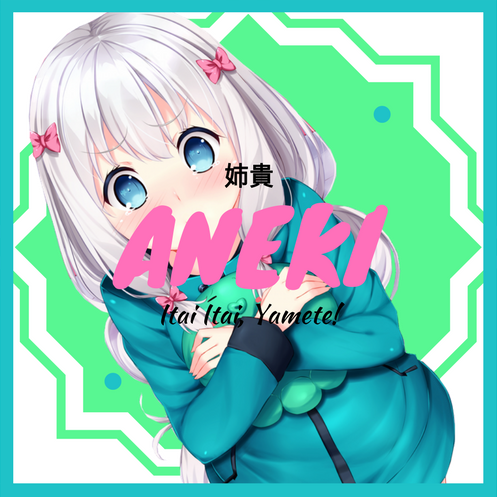 Is [ANEKI] right for you? What do we do at [ANEKI]? Since we are dedicated to fun, we spend nights in Training rooms doing random stuff, mini games, or watching anime. We are more than willing to platoon with whoever, as long as you see us online! We also spend lots of time watching anime, discussing anime, and other stuff. Most of our clan activities happen on Discord. What makes [ANEKI] different than other clans? Other than being an anime based clan, my clan is open to all! Everyone is welcome to join and encouraged to drop by my clan Discord. [ANEKI] is also dedicated to being a 100% drama-free zone, I've seen so much clan drama in my time and I want to create a safe haven for all to have fun and not worry about anything. [ANEKI] is just an extension of the [MAHOU] Clan/Community and is open to all, regardless of you joining or not. Does [ANEKI] compete in CW, Competitions or Skirmishes? Yes we do, but just for fun. We aren't a clan that strives to be elite, just a clan for fun. [MAHOU] is where you will be assigned if you would like to be competitive. Edited by MikeZapTheTrapsPence, 29 April 2017 - 09:33 PM. Good luck with the new branch ! I think you folks should do countdowns using just Ankos, that would be hilarious ! Edited by woof_defender, 28 April 2017 - 02:31 AM. Another clan to look for in battles, I'll be sure to send my o7's if I can remember. Edited by Panbun, 28 April 2017 - 02:48 AM. Edited by MikeZapTheTrapsPence, 28 April 2017 - 02:43 AM. Edited by Tankiller14, 28 April 2017 - 03:02 AM. And I thought one was already too much. Edited by Animenz, 28 April 2017 - 05:18 AM.